SINCE 2009, I HAVE MOUNTED THOUSANDS OF TV's IN EVERY POSSIBLE CONFIGURATION! The highest quality work AND the best price, guaranteed! THE OWNER OF THE BUSINESS IS THE PERSON THAT SHOWS UP AT YOUR DOOR AND DOES THE JOB! Remember, NOBODY CAN BEAT MY PRICES......PERIOD!!!! if you get a lower quote somewhere else, let me know, and I will beat it! !!!!!! WOW! You came to the very bottom of a really long page.......I like that! - Fake reviews are pretty easy to spot if you know what to look for, and since the point is to have a lot of good reviews to improve the overall rating, there will typically be a lot of them, which makes it even easier to notice. - A tiny fraction of satisfied customers will actually post any kind of review, so good reviews are very hard to come by (when you're not paying for them). - These days, a review will basically be an "all or nothing" type of situation......either 5 stars or 1 star. It's pretty rare to see anything in between, so if there is even the slightest problem, they give you the lowest score possible. I have had people that I never worked for, that confused me for someone else, post a negative review of my business. Even after taking steps to notify them of the error, it has never been corrected and actually still exists today. Alternatively, while examining some of my competitors' reviews, I found a good review for a job that I did, and it's posted on my competitor's business profile right now, with my name on it, from a customer that I clearly remember working for......That happened in 2016, and it has never been corrected. 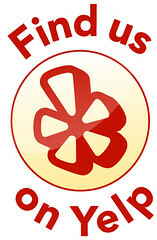 - I'm not sure if this has happened to any of my competitors, but for some reason Yelp has filtered nearly a third of the reviews that I have received, ALL of which I have personally verified as having been actual legitimate jobs that i've done. This process is supposed to be for the purpose of eliminating the "fake reviews" that people pay companies to post for them, but it is apparently doing the exact opposite!